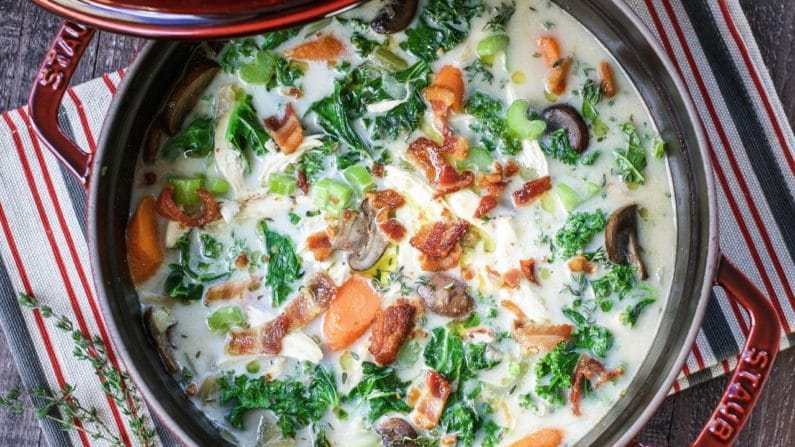 Successfully saved Creamy Chicken Kale Soup (Paleo, Whole30) to your Calendar. You can also save the ingredients to your Grocery List. Easy Creamy Chicken Kale Soup with shredded chicken or turkey. Paleo Whole30, healthy, and gluten dairy free. Perfect holiday leftover recipe !